Few performers can match the experience of Clive Stock. He appeared in five West End musicals before he started his national service. While in the RAF he was seconded to CSE as part of that memorable unit which included Kenneth Williams, Stanley Baxter, Peter Nicholls and John Schlesinger, actually starring with Williams in Seven Keys to Baldpate. Back in Civvy Street he went into Oklahoma at Drury Lane where he met his wife Gwen Overton to whom he has been married for 67 years. Together they starred in the first Australian production of Brigadoon in Sydney where he managed to play cricket with Keith Miller and Ray Lindwall. Returning to England, Clive and Gwen then performed their double act to appear in Sandy Powell?s summer show in Eastbourne. They then went on to the Gaiety Theatre Ayr before going to North Wales where he has had a home for over 40 years. Originally booked as an act, he began a partnership with Robinson Cleaver in 1969. Producing summer shows and pantomimes in 197 taking on the 2000 seater Pier Pavillion, Llandudno. The following year he became managing director of the Bunny Baron Organisation. Resigning his London commitments in 1979 he moved permanently to North Wales and in 1981 began a six year spell as manager of the Aberconwy Conference Centre and the Arcadia theatre Llandudno. In 1987 he produced the medieval banquets at the 13th century Ruithin Castle. A registered theatrical agent since 1962, he was the personal manager of the late Ken Goodwin since 1990. He is a member of the Grand Order of Water Rats for 30 years. 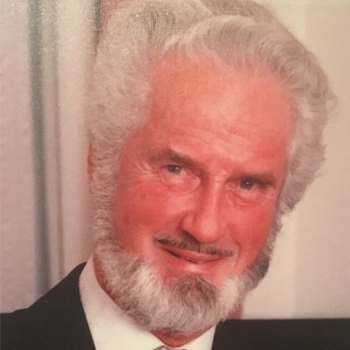 He has also been a director of the Theatrical Profession Insurance Service, Chairman of the Concert Artistes Association, captain of Llandudno Cricket Club, senior Grand Warden of the province of Surrey and Senior Grand Warden of North Wales. He also has four Great Grandchildren.